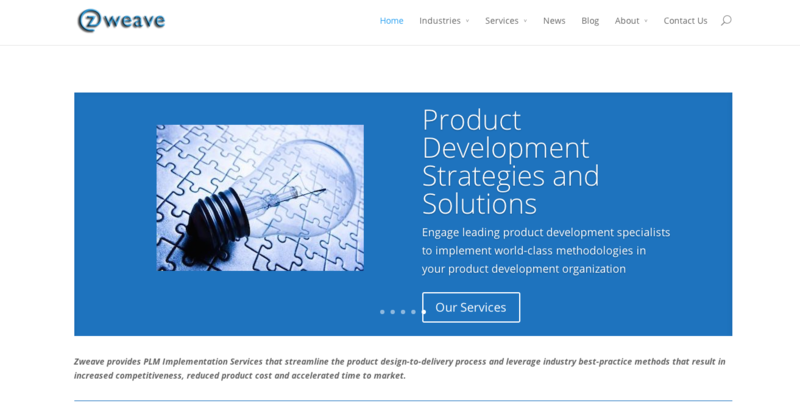 To create a responsive site for Zweave, a product lifecycle management implementation service that streamlines product design-to-delivery process. Zweave was looking for a WordPress site with a blog, in addition to drip marketing and lead nurturing campaigns. We used the Divi theme from Elegant Themes in addition to a few plugins to make the lead nurturing component just work. Hatchbuck forms, Meeting Scheduler by vCita and Yoast SEO really played a big part in making Zweave’s site found on the web as well as a resource for potential clients to keep coming back for more content.